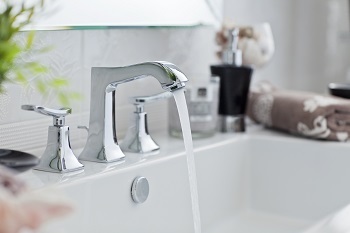 You and your family rely on your plumbing system every day, so keeping it in great shape is a major priority. At Franklin Plumbing & Drain Cleaning, our Forest Acres plumbers offer wide range of plumbing services to help our clients keep their plumbing systems as reliable as possible. We can provide you with high quality plumbing repairs, installations, and maintenance services, and we'll make sure that every part of your plumbing system is efficient and effective. Our plumbers are all licensed professionals with extensive training and experience, so we'll always be able to provide you with excellent workmanship and professional customer services. We'll always do whatever it takes to keep you plumbing system in great condition, and all of the work that we perform comes with a satisfaction guarantee. We you need a plumber in Forest Acres, SC, we're here for you. Water heaters are used multiple times every day, and they're constantly working to keep water heated, so it can develop problems at any time. When you encounter any problems with your water heater, you can rely on our Forest Acres plumbers for prompt and professional repairs. We'll be able to accurately diagnose the problems, then thoroughly repair them so that you can rely on your water heater for comfort and cleanliness. We also offer water heater maintenance services to help prevent problems from developing and to keep your water heater totally efficient. Your home's drains are what connect every part of your plumbing system together, so they need to be kept in great condition. Any clogs, build-ups, or blockages in your drains will cause major problems throughout your plumbing system, and our drain cleaning services will help ensure that every part of your plumbing system is in great shape. Our professional drain cleaning services are more effective and much less harmful than store-bought chemical drain cleaners. "Prompt service, professional, great experience"
If you are looking for a professional plumber in Forest Acres, SC then please call 803-799-2222 or complete our online request form.